The ubiquitous influence of Artificial Intelligence and Machine Learning is inescapable. The two terms although virtual and are mostly used interchangeably, are entirely different. Before I dig into the complexities of the two, the best way to give an outline of the two would be to say; Artificial Intelligence bodies the whole concept of machines being able to act intelligently and smartly. Whereas, Machine learning is an approach of Artificial Intelligence or a figment which emphasizes on providing data to the computers which it will analyze and then come up with the best possible solution on its own. The research labs have long been simmering with Artificial Intelligence, and it has been in use for a very long time. For decades now, as the mind has progressed and our understanding has improved, new locks to Artificial Intelligence have been opened, and there is yet more to achieve. Machine learning stems from the minds of early AI crowd. Artificial Intelligence goes back to the time when Aristotle introduced syllogism. Scientists from Mathematics, Engineering, Psychology, Economics and Political Science opined of creating an artificial brain. In 1930’s and 40’s, Alan Turing, a pioneer in computing formulated techniques that set the ground for Artificial Intelligence today. That is how the magic wand came into being. The world today is engulfed in Artificial Intelligence. Google, Netflix, Facebook all have revamped themselves with the aid of AI. As something with greater depth and broad scope, of which Machine Learning is just a part, the confusion should be cleared. That is what I am about to do here so that by the time you finish reading, you are able to distinguish between the two. It might not be wrong to interpret Artificial Intelligence as the fusion of humans and machines. AI is an umbrella term, to put it simply, making computers act smart. It is among the major fields of Computer Science that cover robotics, machine learning, expert systems, general intelligence and natural language processing. Artificial Intelligence can be listed as Applied or General. The more common one is Applied Artificial Intelligence which is used in the designing of systems that cleverly trade stocks and shares. On the other hand, the Generalized AI can handle any task and is the steamy one where advances are being made. At its infancy, AI has helped in dealing with the mundane daily household chores, such as Vacuum Cleaners, Dishwashers, and Lawn Mowers. The security systems have been developed using AI. The national security system uses data on AI systems, which then presents accurate problems that the nation might face. Crime can be controlled and fought by building criminal profiles. Artificial intelligence has made its mark in education and learning too. Personalization of tutoring to monitor study pattern of students is achieved by AI. The disabled and elderly have also benefitted from it. Robots have been assisting people from a very long time now. It is used in speech therapy by using voice recognition systems. Artificial Intelligence has even shown its potential in transport. The software programmed cars that have recently been launched would reduce the risk of accidents and traffic jams. The metros and driver-less trains are pretty old now and have proved to be convenient. AI propelled the development of Machine Learning and has paved the way for further progress. To best describe Machine Learning you can conclude by saying that it’s a way to achieve Artificial Intelligence. The prime focus of AI was to establish if-then rules to mimic human knowledge and decision-making. The Expert systems were unable to exploit data and learn from it, which posed a barrier to advancement. They remained within the boundaries laid by programming and cerebral capacity and failed to go beyond. Machine Learning won in replacing the Expert System and breaking through the posed barriers. 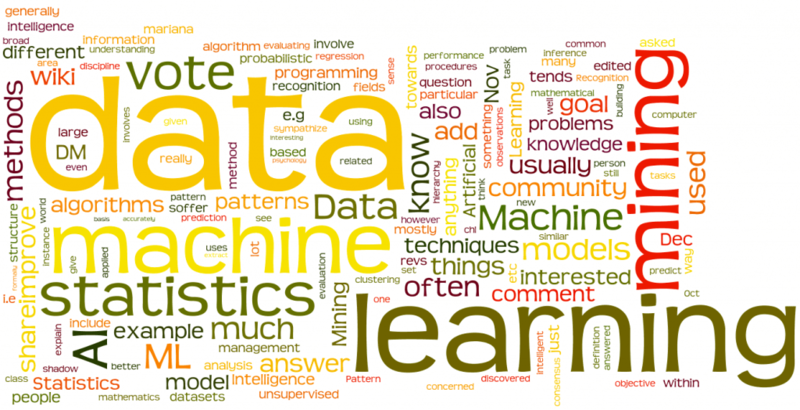 Machine Learning focuses on constructing algorithms that would learn from data, complete task and make predictions with high statistical accuracy. It is not used in the perusal of the data which is a major factor. The emergence of the internet and with it a significant amount of data that was generated, stored and needed to be analyzed. The engineers came to a conclusion that instead of teaching computers how to act it would be more efficient and convenient to code them to think like humans. Plugging them into the internet would then open up the passage to the world for them. 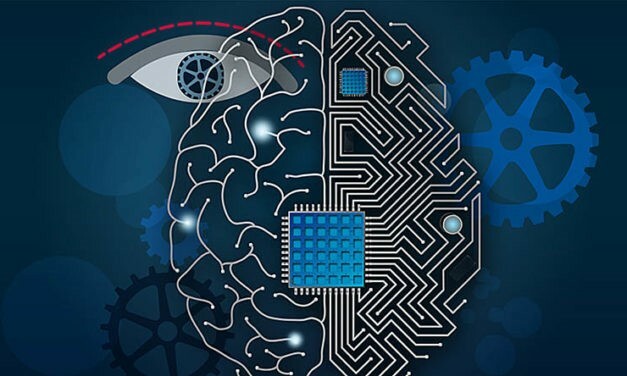 Neural Network was the key fashioned to teach the computers to think and understand the world with human perspective but with the speed and accuracy machines are known for. Reading texts and deciding whether it’s a compliment or a complaint, finding out how the genre of music would affect the mood of the listener or composing themes of its own are offered by systems working around Machine Learning and Neural Networks. The idea of communicating with the electronic devices and digital information has also been implanted by science fiction. This has lead to the innovative prospect of Natural Language Processing (NLP), on which work begun and still is being done. With the help of NLP applications, the machines make an attempt to understand human language and then reply accordingly. Machine Learning is used to help the machines to adapt to the nuances of human language and to be able to respond to a particular audience. The iterative aspect of machine learning has made it possible for models to be exposed to information and then act independently after adapting to its cadences. The past computations help in generating reliable results. The capacity to automatically apply the complex mathematical calculation to Big Data at a faster pace with every passing day is a recent development. The Self-driving cars, online recommendations, customer feedback, and fraud detection are some of the common applications. The most significant advent is the image recognition. The algorithms are capable of drawing out results from among thousand and million of images, which has impacted the geospatial industry greatly. Image recognition is though just one area from the many Machine Learning has been able to hit. Analyzation of bigger and more complex data, at the speed of light and with precision, even on a very larger scale seems fruitful and appealing to the industries and business organizations. Artificial Intelligence and specifically Machine Learning has a lot in store. It offers the mechanization of the mundane, monotonous tasks as well as promises insight into industrial sector, business sector, and healthcare sector. Again both Artificial Intelligence and Machine Learning are entirely different; both are being consistently and lucratively sold. Since Artificial Intelligence has always been there, it is seen as something old with the new word Machine Learning taking its place. But then the surface of Artificial Intelligence still needs to be scoured; there is so much more that still needs to come out and revolutionize the human civilization. Certainly, we are on track to reach that goal and getting nearer with increasing speed. It owes to the light in which we have begun to see Artificial Intelligence with the help of Machine Learning! How Machine Learning Is Transforming The Travel Industry? Can Machine Learning Point Out Cyber-security Weaknesses? Hi, I am Victoria Ashley. A professional content writer always seeking opportunities to write on. I am associated with a Trucks & Equipment business as a trainer and content analyst!